If you are an adult with crooked teeth, you may think that you already missed your opportunity to get braces. However, adult braces are very popular. In fact, at least 1/4th of all braces wearers are adults. You simply might not see braces on many of your peers because adults have a couple orthodontic options that stay hidden in the mouth. Find out if you should choose to have adult braces, what the benefits are, and what options you have to straighten your teeth discreetly! The American Association of Orthodontics recommends that every person have an orthodontic evaluation between the ages of 7 and 8. This is prime time for orthodontists to correct bite and alignment issues that can become severe as a child ages. However, not everyone knows that they need to see an orthodontist, nor do many people have the means to receive orthodontic care due to cost. That opportunity may come when you are an adult. Have you missed the mark if you’re already an adult instead of a child? Certainly not! Orthodontic treatment is a bit harder when you are an adult, but it is not too tricky for us to manage. Orthodontists recommend that children and teens get braces for bite, alignment and issues with crooked tooth when young. This is because the jaws are still growing and the teeth and jaws are more moldable until a teen grows older. As an adult, the jaws have hardened into place, so shifting the teeth and jaws is much more difficult. However, modern technology definitely allows adults to change their smiles as they please. In fact, 1/4th of all people wearing braces are adults! Adult braces are becoming more and more popular as jobs become more competitive. 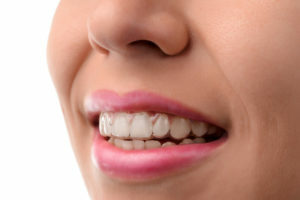 Adult braces can really give people the edge they need to succeed because it creates a more beautiful, straight smile. There is more than just the aesthetics of receiving adult braces. Getting braces can not only improve your appearance, but they can radically change your oral health. Did you know that your risk for tooth decay and gum disease is significantly less with braces? This is because the teeth become straighter, getting rid of all the nooks and crannies plaque and bacteria cluster in with crooked teeth. The teeth are easier to clean, and your smile looks much better, so you’ll actually want to clean your teeth more often. Many people do love what adult braces can offer their smile. The main advantage is confidence. Many studies have been conducted on the confidence that a smile can bring not only to a person but to others. When you feel self-conscious of how your teeth look, you’re less likely to show your smile to others. This can happen even with children, who may become more introverted because they are self-conscious. However, when smiles are healthy and straight, people tend to show them off more. The more smiling, the more confidence a person feels and the more likely they are to be perceived as such. The company that invented Invisalign actually conducted studies about this very thing. They found that people who had better, straighter smiles appeared much more confident than those with crooked smiles. The patients themselves felt 60% happier, more attractive and more successful, and others saw them as such. Those with straight smiles were more likely to land a job over their competition and were more likely to be successful with home, school and social life. They were also perceived as 72% more trustworthy just based on first impressions. The benefits of adult braces are endless and all benefit you! Traditional Metal Braces: Consists of a metal bracket and wire design. Ceramic Braces: These are very similar to traditional braces, except they are made from white, ceramic material that helps hide them in the mouth. Ceramic material helps prevent tooth demineralization. Lingual Adult Braces: These are metal braces that fit behind the teeth and are bonded to the backs of your teeth. Molds are made of the teeth so that the metal can be custom-made to cover your teeth. This option is a preferred one among adults seeking adult braces. Invisalign: This orthodontic treatment consists of transparent aligners that are customized to your mouth with a digital machine. You will get a new aligner each week, which you place in your mouth like a retainer. They stay hidden in your mouth, can be removed for regular oral hygiene cleaning and eating, and you get a better smile! Many people aren’t quite sure what to expect from their first orthodontic visit, as orthodontists don’t do the same work that dentists do. Dr. Hardy will meet with you for an oral evaluation and orthodontics consultation. He will examine your bite and alignment and will determine your candidacy for specific procedures if they are needed. Oral health issues—such as periodontal (gum) disease—will have to be resolved before the teeth can be straightened. If bite and alignment issues are not present, you can move forward with regular straightening treatment. Dr. Hardy will take impressions of your teeth and will plan out a trajectory of your orthodontic plan. This is where you can know how long you will wear braces and how your mouth should look by the end of your treatment. You will also choose which orthodontic option you would like (traditional, lingual, ceramic or Invisalign) so that appliances can be made to fit your mouth. After your consultation, your next appointment will be your braces fitting. After that, it’s easy to care for your mouth between quick adjustment appointments. Always brush and floss your teeth, and do these two habits more often than you used to. 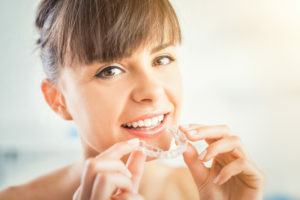 If you are wanting adult braces, consider Invisalign or lingual braces, as these options keep your orthodontics concealed if you need them to be. For all your questions about adult braces, call Belmar Orthodontics today at (303) 225-9016!